“Our study is transformational,” lead researcher Ken Muneoka told New Scientist. 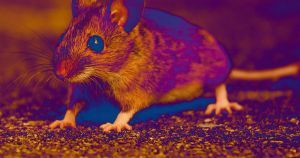 In his view, the research suggests that animals that don’t regrow limbs, like mice, could someday do so as easily as those that do, like lizards. The mice used in the A&M study didn’t grow back complete toes, but they did get closer to a completed digit than past experiments, which only grew out some of the missing bones. Even if they had fully regenerated their toes, there’s a long road between research showing that a protein can regenerate cartilage and the point at which that protein could be used to grow back a human limb. All the same, clinical research has to start somewhere. If these findings hold up, we may someday find ourselves with a new way to treat amputees. The post A New Cocktail of Proteins Makes Mice Regenerate Toes Like Lizards appeared first on Futurism.